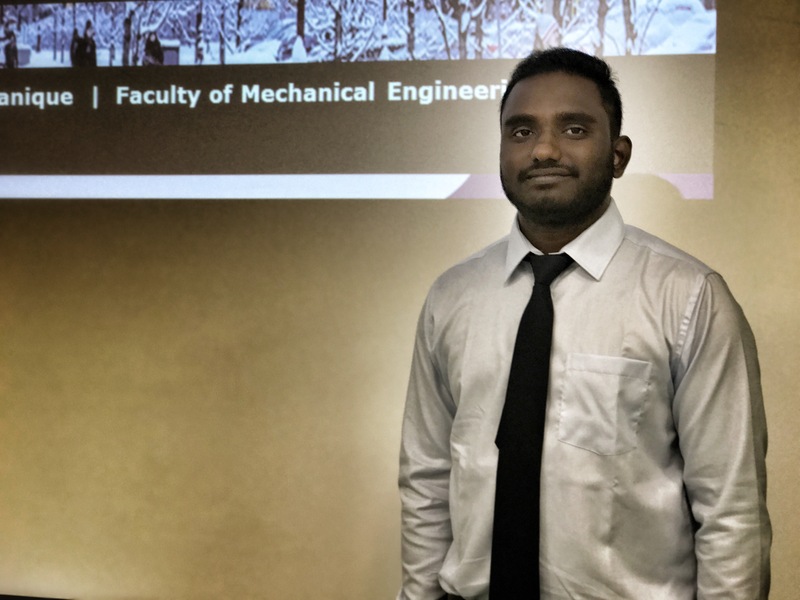 Last Wednesday, MASc candidate Dan Duong presented his thesis seminar titled “Accelerating and Decelerating Flows in a Complex Channel”. Supervisor Dr. Stavros Tavoularis was on hand during the presentation and then they both kindly let me take their photo. Well done, Dan, and congrats on getting close to finishing! 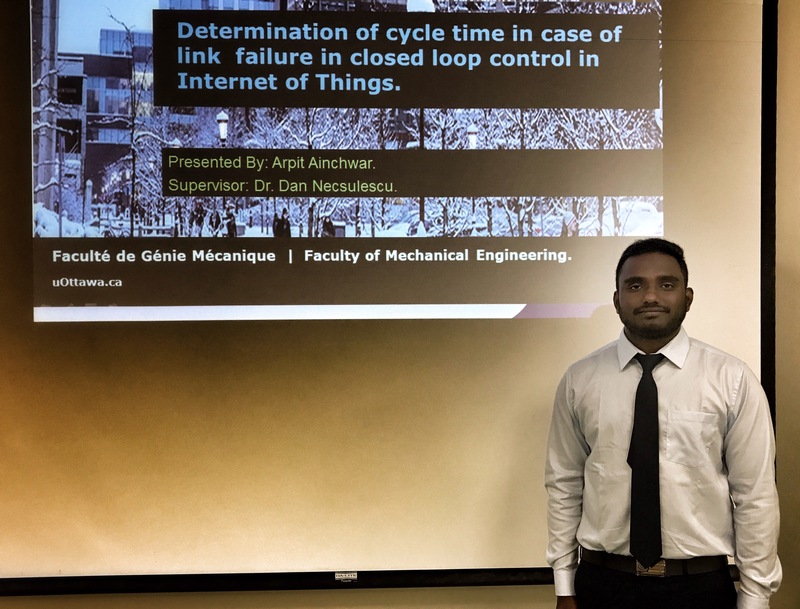 Last Wednesday, MASc candidate Arpit Ainchwar presented his thesis seminar titled “Determination of cycle time constraints in case of link failure in closed loop control in Internet of Things”. Supervisor Dr. Dan Necsulescu was present for the talk and obligatory photo op. 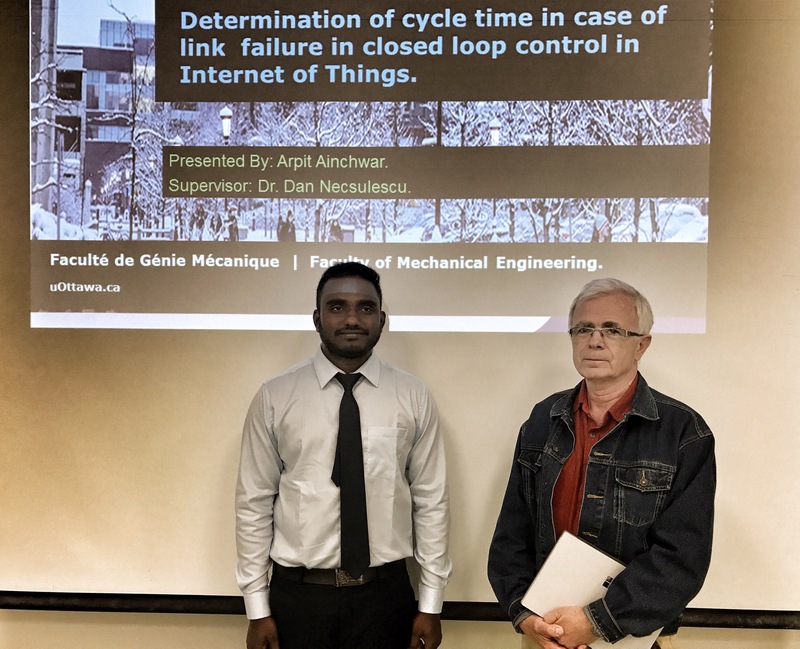 Thanks to both Arpit and Dr. Necsulescu!